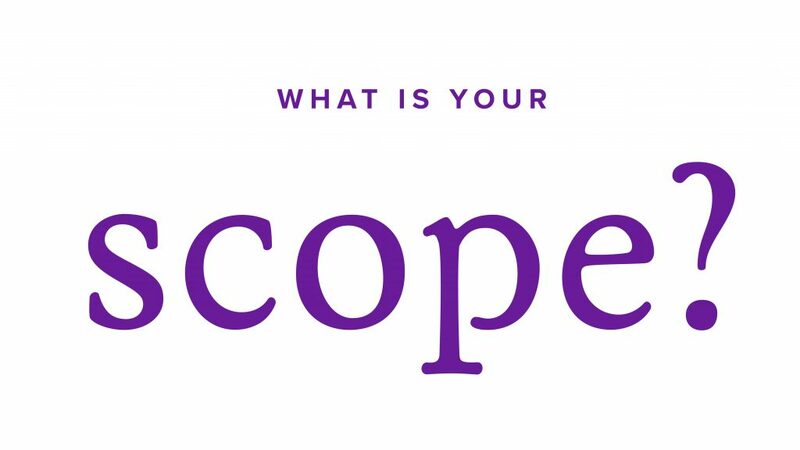 Part I: Am I my Brothers (Record) Keeper? Now that we’ve discussed the important role of record-keepers, and what risk factors help us prioritize our record rescue, we are finally ready to begin a record rescue in earnest. Put very broadly, here are the basic steps of the record rescue. 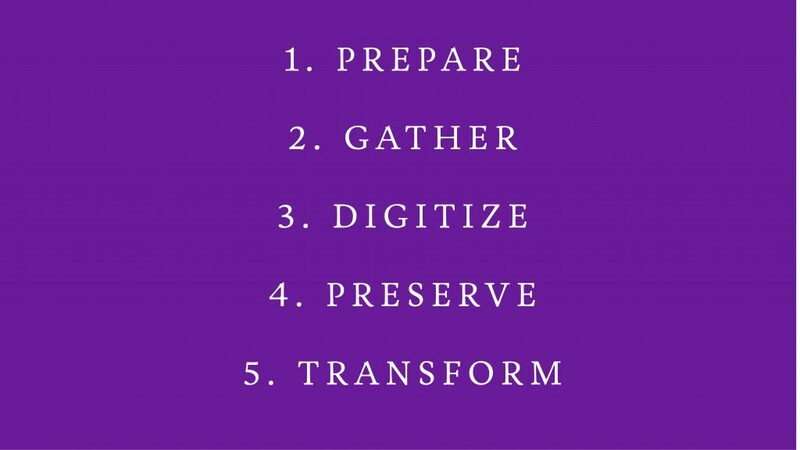 Before a single record is gathered, scanned, or indexed, we must prepare for the rescue by asking a few important questions. The first: What is your Why? Establishing your “why” is a crucial step, because it’s a reason you will turn to again and again. Record rescuers will face countless challenges, face adversity, and experience burnout (and that’s just the first week!). 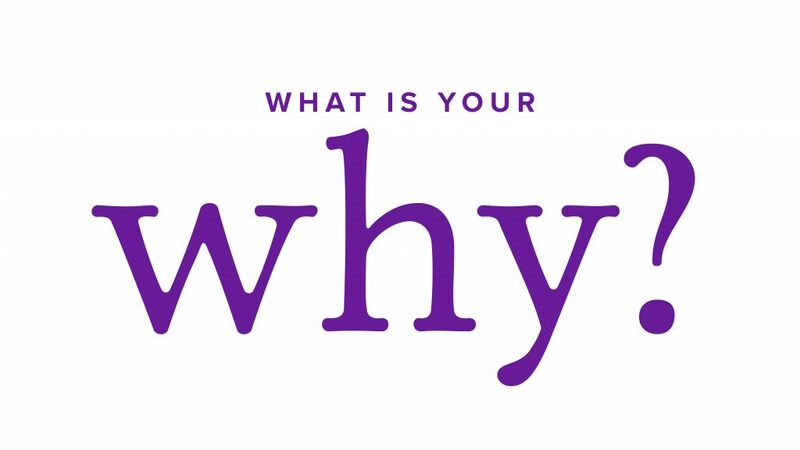 Your “why”” will inspire you and others stay focused on the goal more than a “what” ever could. Whose records are we rescuing? What are we doing to the records? We are gathering all of the family records pertaining to Aunt Betty before she moves into her new home. Start small. 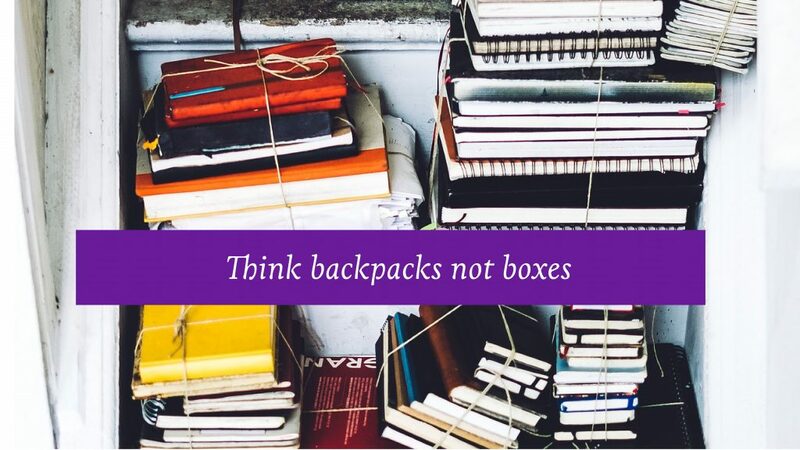 You wouldn’t climb a mountain pulling a mountain of 15 boxes, but you could take a backpack. That’s actually a good rule of thumb: can you fit your record rescue in a backpack? If the answer is no, consider paring down the scope into something with reasonable, reachable boundaries. If possible, separate records based on record type. For example, rescuing grandma and grandpa’s love letters is easier when you don’t include t photos, slides, and diaries. The more record types you have, the more complex your project will be, especially during the scanning and preservation stages. Show success early and often. Keep your family engaged in the rescue by updating them on your progress and sharing records on social media. In addition to knowing our “why” and “what”, there is one more step in our record rescue preparation: enlisting help. Stay tuned for our next installment where we discuss ways to engage your family in the rescue.